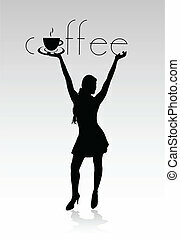 Coffee dancing. 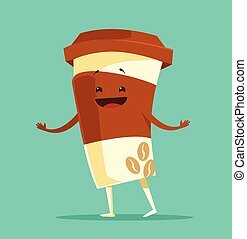 A happy cartoon cup of coffee dancing and smiling. 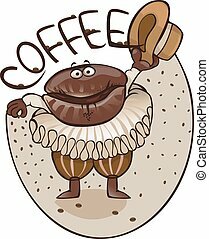 A happy cartoon cup of coffee dancing and smiling. 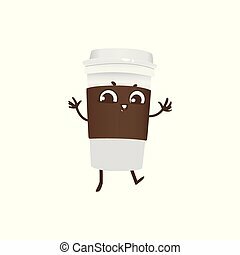 Takeaway plastic cup of coffee cartoon character dancing and smiling - joyful paper mug with hot invigorating drink isolated on white background. 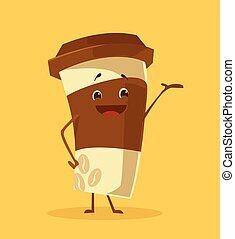 Cute smiley of beverage in vector illustration. 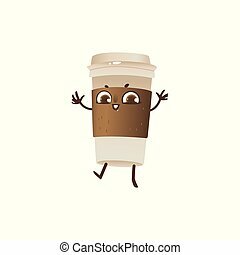 Takeaway plastic cup of coffee cartoon character dancing and smiling isolated on white background. 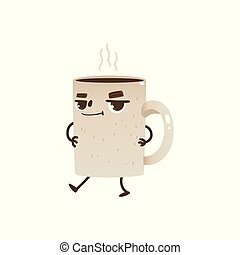 Joyful paper mug with hot invigorating drink - cute smiley of beverage in vector illustration. 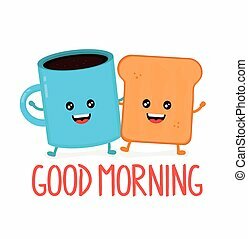 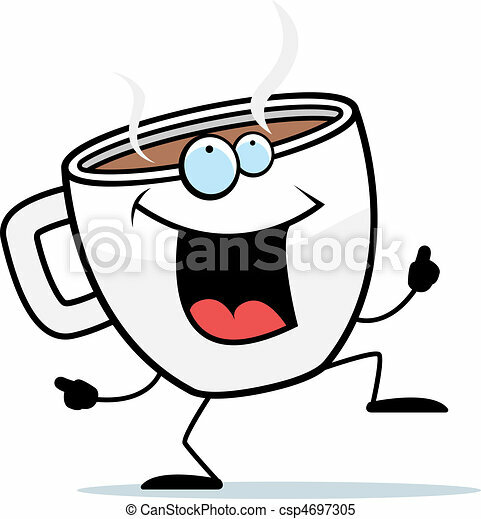 Coffee or tea cup cartoon character dancing and smiling - joyful mug with hot drink and steam isolated on white background. 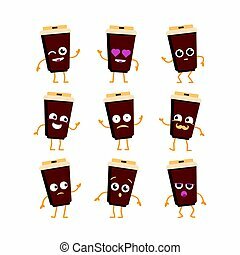 Cute smiley of dishes with beverage in vector illustration. 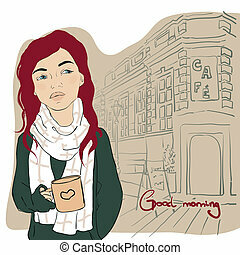 Girl with cup of coffee. 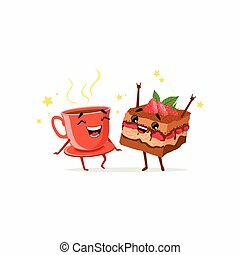 Dancing cup of coffee and piece of cake with strawberry. 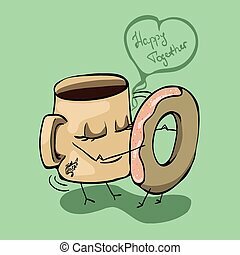 Food and drink characters having fun together. 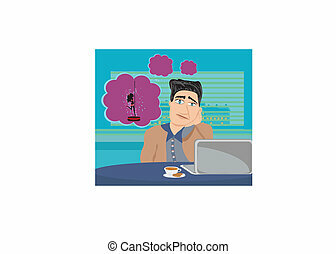 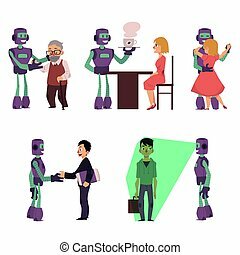 Vector flat cartoon illustration isolated on white. 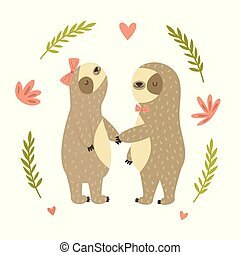 Design for sticker, card, poster, cafe logo.